Nickel is an incredibly common alloying element since it is both highly versatile and able to alloy with almost any metal. As a whole, nickel-based alloys offer heat-resistance as well as high corrosion-resistance against a broad spectrum of corrosive media such as chemical, alkalis, petroleum and seawater. Some common elements that nickel is alloyed with to form nickel alloys included iron, copper, chromium, manganese, carbon and silicon. 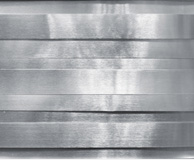 As a result of the wide range of elements that nickel is able to alloy to, there is a correspondingly vast number of industries that nickel alloys are utilized in including: medical, used in eye-glass frames, hypodermic tubing, surgical sutures and more; power generation, for use in steam turbine power plants, nuclear power plants and varied other applications; military, used in weapons, vehicles and identification tags; industrial manufacturing, for use in corrosive material handling and various machinery such as direct current (dc) motors or generators; marine, for shipping vessels, off-shore oil rigs and small parts such as springs or fasteners; and aerospace, for use in gas turbines, jet engines and components such as piping and shims. There are a vast number of nickel alloys, which are often categorized in terms of their second most prominent element, the characteristics they display, or the uses they are being put to. For instance, a nickel alloy with the composition of 55% nickel and 45% titanium is referred to as Nitinol, also called a nickel-titanium alloy, or a shape memory alloy. Another example is a nickel alloy with a composition of 80% nickel and 20% chromium, called Nichrome, also called a nickel-chromium alloy, or an electrical resistance alloy. Some other popular types of nickel alloys include Hastelloy, Cupronickel, Monel, Inconel, German silver and Alumel. The many nickel alloys are typically broken down into four main types in regards to their characteristics: low-expansion alloys, which include nickel alloys that are specifically engineered to have low thermal expansion; electrical resistance alloys, which are nickel alloys with a high nickel content; soft magnetic alloys, which are nickel alloys with high magnetic permeability and low saturation induction; and shape memory alloys, which are nickel alloys that are capable of returning to their prior shape upon undergoing the appropriate heating schedule. Electrical resistance alloys include two sub-categories: resistance alloys and heating alloys, which contain silicone and possibly niobium in addition to nickel and chromium. Nickel Alloys Nickel alloys are metal alloys in which nickel has the highest percentage of any other element used in its composition.